The Z generation will certainly rule the cyber world. Kids born between 1995 to 2012 comprise this generation and they are the most highly exposed to current (and future) high technology. 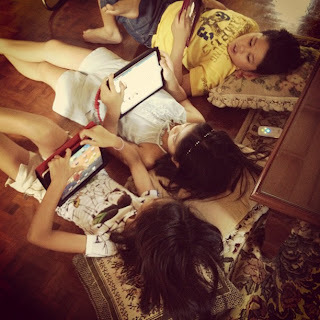 This is the generation that will be the most internet-savvy. When my kids were little, I used to buy tons of coloring books, crayons, drawing paper and colored pencils for them to 'hone" their artistic inclinations and (in truth) as aid in baby-sitting. Twenty years+ later, the third generation in our clan prefer their electronic devices! However, I still see to it that these kids' use of these electronic gadgets is limited. Sure, these tech savvy 9 year olds do have their own social networking pages but I draw the line on internet browsing, sign-ups and game downloads as one can never tell if a site has ample cybersecurity as protection for their users. Tech-savvy kids. What's next?